For local Pubs, you need look no further than our village of Gilcrux. A ten to fifteen minute walk rewards you with refreshing beers, great wines and fantastic food at both the Bar’n’Bistro and the Masons Arms. The Masons Arms Country Inn, overlooks the village green, 4 miles from Cockermouth. Originating from centuries ago, the old reclaimed ships’ timbers are visible on the ceiling of this cosy pub. A warm welcome awaits you from Mike and Nadine, indeed a large stone built fireplace and log burner also greets your arrival. On a solid oak bar is a selection of refreshing cask real ales, with other well known keg draught beers wines and spirits. There is a games room with darts and pool table. Dogs are welcome and they have a specified area for them. They are not permitted in the main lounge however. All of their meats are sourced locally from a traditional family butcher and the fish is caught straight from the Gilcrux Springs trout farm. Also catered for are vegetarians and gluten free meals can be ordered. We send menus with all booking confirmations. Hal and Andy run a very friendly informal restaurant and cosy bar with a selection of real ales and great home cooked food. 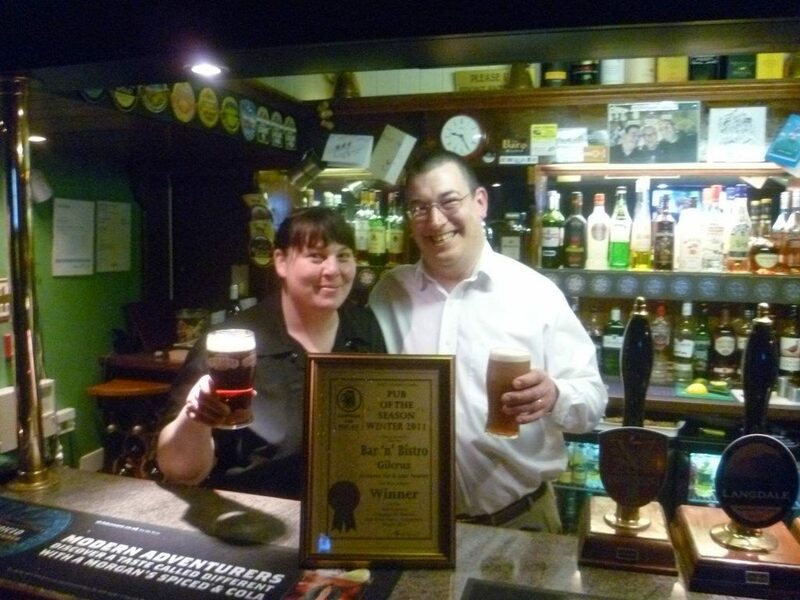 As you can see they have won an award from CAMRA, campaign for real ales, for the Pub of the Season Winter 2011. The bar is open every day from 12 noon, which is a big plus compared to many rural and local pubs. Food is served every day from 12 till 2.30 and 6 till 8.30. There is an outside drinks area at the front and a secluded private eating and drinking area at the rear for alfresco dining. 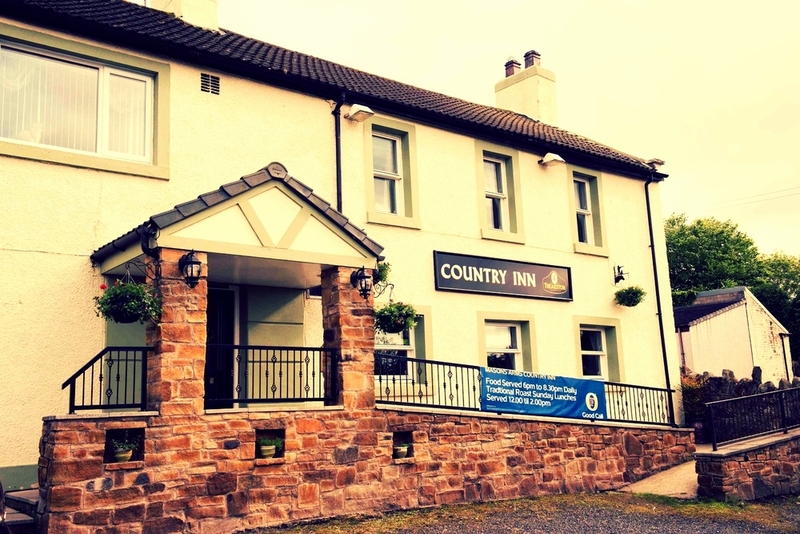 Booking beforehand is strongly advised for this often vibrant establishment, as people travel far and wide to enjoy its outstanding hospitality. Dog friendly up to 6 in the evening. Closed all day Monday except Bank and school holidays. A torch is provided in the cottage for your use should you venture out for the evening. You may wish to pack a second one and some bright clothing too, especially if you chose to walk the lane rather than the bridleway back to your holiday cottage. Hal & Andy with their Camra award.